When it comes to Microsoft Windows, and especially when it comes to Microsoft Windows in combination with weak Hardware, which doubtlessly is the case regarding the Asus eeePC, I personally tend to fly into a fury. But working with computers should never be that painful. So why not taking your Mac OS X Snow Leopard Retail DVD, provided along with your personal Mac, and install it onto your nasty netbook? Whatever your reason is that makes you want to install Mac OS X Snow Leopard on your Asus eeePC - I can carry good news, as that is not just possible, it even works nearly perfect! When I tried to convert some of my old .wmv video files on my Mac, I didn't find any easy and free solution. There is a lot of video conversion software for Mac around the Interwebs, some of those apps are quite good - but there's one thing they've all got in common: They cost money. So I continued searching and spent hours till I found my personal free solution: ffmpeg. It is extremely powerful, and free! And it is a Shell-based conversion tool. In general, I love to work with the shell. But it can get really exhausting, and it got exhausting in this special case. So I decided to create a very small AppleScript, also available as a Droplet-App for Finder. Thus you just need to drag the desired file onto the script/droplet, and it will do the job for you. Quite comfortable, I think. So what do you need? I'd recommend you to get Homebrew, my favourite package manager for mac: http://github.com/mxcl/homebrew. Once installed, just type "brew install ffmpeg" to let Homebrew do the complete install of ffmpeg for you. Now that ffmpeg is installed on your system, feel free to grab my very very very simple ffmpeg converter Droplet / AppleScript. Extract the package and drag the droplet ont your Finder bar. To convert any video to a hq mp4, just drag and drop the file onto the droplet icon in your finder menubar. Have fun! Hopefully, there is more to come in further versions of the trainer. Till now, I haven't spent that much time in searching through the memory of the game. If you are interested in seeing the opcodes and the assembled code to inject, feel free to read on here. YAEC is an abbreviation and stands for "Yet Another Evil Clickbot". Nevermind the word "Evil", it does not suggest anything except for the fact, that you can do some pretty "mean" things with YAEC. How mean? For instance, you can cheat in browser based games with the help of this nifty application. I developed this small application in a quite short period of time and due to boredom and because of the "SpeedClick" Application on Facebook. YAEC is a clickbot. This means it is an application that will fetch your mouse cursor (just as if it was magic! ), move it to a specified position on your screen and will simulate mouse clicks, just as if you clicked by yourself, but YAEC does that automatically. In YAEC, you cannot only specifiy the position you want the cursor to move to and perform the clicks, but also the delay between each simulated click, the duration of time you want the clickbot to run and also the delay before it starts moving to the specified position and before it starts clicking. YAEC is very self-explanatory. For instance, you can just press the "Sample"-button and some sample data will be inserted for you. Using the "How To"-button, YAEC will tell you a hint how to analyze the x and y position on your screen where you want the clickbot to perform clicks. Nach rund zwei Monaten Entwicklungszeit und mehreren Konzeptänderungen ist die Arbeit am Webprojekt �Uber Gaming Community� nun endlich abgeschlossen. Schaut doch einmal vorbei auf http://ubergamingcommunity.com ! Blyawon, Pront0, Sallewasgeht, Hobil und ich haben einen Blog gelauncht: Derwebblog.de. Der Blog ist sehr vielseitig und deckt zahlreiche Themenbereiche ab. Wir schreiben überwiegend Artikel über Webprogrammierung beziehungsweise Webentwicklung und Design, bloggen aber auch aktuelle Webnews, Nachrichten aus der Politik und aus der Gesellschaft. Als erfahrene Internet-Kenner bemühen wir uns täglich darum die aktuellsten Nachrichten aus den oben genannten Themenbereichen in knapper, verständlicher Form zu formulieren. Auch schrecken wir nicht vor Tutorials und Anleitungen zurück, die auf �Computerkenner� zugeschnitten sind. Aufgrund der Vielzahl an Teilnehmern dieses Gemeinschaftsprojekts deckt jeder �Blogger� seine Kompetenzbereiche ab und bereichert damit das Internet um hoffentlich nützliche Informationen. In den letzten Tagen habe ich alle Seiteninhalte vervollständigt und Referenzen beziehungsweise Portfolios veröffentlicht, wo sinnvolle vorhanden. Jetzt ist die Seite vollständig fertiggestellt, es kann nun darin "gestöbert" werden. Wer Webseiten, Anwendungen für Apple-Plattformen und für den PC braucht, der ist bei mir an der richtigen Adresse. Schaut doch einfach mal vorbei auf http://cbaur.de und informiert euch ein wenig, falls ihr Interesse habt. Kleine Anmerkung: Aktuell nehme ich keine weiteren größere Aufträge entgegen, da ich zur Zeit stark ausgelastet bin, was Projekte betrifft! 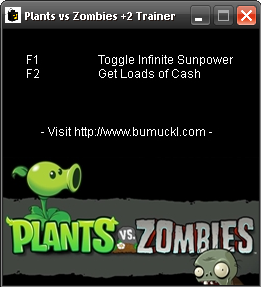 Besides all my current projects I decided to take care of Bumuckl.com in terms of unity and web standard. I thought it was time to get cracking to get a new floor finish for my website. You might not think that there have been any major changes, and you're probably right. It still looks kind of the same. But, indeed, it took me 5 days with 6 hours of struggling around everyday to redevelop the whole template in a clean way with neat CSS, to remove bad components and to adapt all the components views. On the whole, it was a pretty exhausting work to optimize Bumuckl.com. And now, as it is done (one might think so), I really do feel happy. But be aware, this is not finished yet. I still will have to remove old CSS classes and to shift the current way of implementing graphics to CSS sprites. What? Web 2.0? Where is it?! Yep, it is there. I am now aiming at using this website rather as a Weblog than as a puffy website with tons of messy content. So I switched all the section and category list-views to blog-views and tried to give the comments-function a neat look. Provisorily I removed the "Lua Wikis" menu item because i would have never finished to translate the whole PGELua Wiki. If you need help, just use the forums. If you need any functions regarding PGELua, go to luaplayer.org. That's all I've got to say. Have fun and, hopefully, I could teach you in some way. "Presheet" is just a single .css-file for styling websites and contains presets, as the name PREsheet says. To be more precise, first several standard browser settings are reset and then new basic styles are allocated. Furthermore there are lots of predefined classes and IDs that will help you in your task of creating a new webdesign. I assume that you'll never again have to struggle with complex div-boxes and floating, as there are simple but powerful classes implemented that will work out properly for you. The Presheet file might be small and simple, but it implements a very nice and handy system. I am not sure how far webdevelopers do like the "system", but I am sure that it is an effective way to create xhtml strict websites in no time in a very comfortable way. And with xhtml strict I really do mean xhtml strict! I assume not to compare it to real CSS-Frameworks like YAML, Blueprints or 960grid, because it surely ain't a CSS Framework. It is a useful preset. Copyright © 2013 Bumuckl.com. All Rights Reserved.